What Can Twyla Tharp Teach Photographers About Creativity? 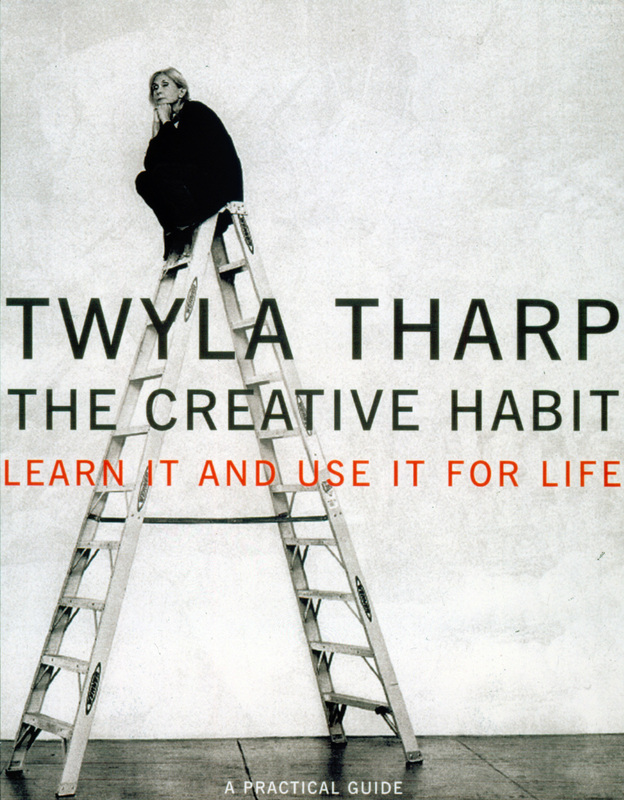 I’ve been reading the wonderful book The Creative Habit: Learn It And Use It For Life by the choreographer Twyla Tharp. By anyone’s standards Ms Tharp has a truly impressive CV having created more than one hundred sixty works: one hundred twenty-nine dances, twelve television specials, six Hollywood movies, four full-length ballets, four Broadway shows and two figure skating routines. Oh, and as well as this book she’s managed to fit in time to write her autobiography as well! The Creative Habit is a self analysis of her lifetime of creativity and how she has achieved what she has. Each chapter takes an idea or a concept (e.g. Your Creative DNA, Harness Your Memory, Ruts and Grooves) and explains how following these could aid in developing a creative life. The really cool thing about the book is that each chapter concludes with a number of exercises that make real what Twyla is writing about. Her assertion is that these are the things that have helped her be creative and that by following these exercises you may improve your creative output also. Whilst reading the book it struck me that many of her observations on how to achieve the “creative habit” can be applied in particular to the creative life of a photographer. Here are three of Twyla’s tips that I am trying to adopt to give my own photographic creativity a bit of a boost in 2014. Here are the three things I found most relevant to me as a photographer. Rituals of preparation. Ritual, even outside its religious context, is all about commitment. Committing to do something at a prescribed time on a regular basis is a personal contract between you and your muse. It might be your religion (worshiping every day), your job (turning up every day) or your creative passion (sitting down to write at the same time every day). Doing something on a regular basis habitualizes the act and removes the question “why am I doing this”. As Twyla Tharp says: “A lot of habitually creative people have preparation rituals linked to the setting in which they choose to start their day. By putting themselves into that environment, they begin their creative day.” For Twyla this is getting up at the same time each day (5:30!) and taking a cab to the gym to do a two hour workout. Practical tip for photographers. Twyla tells the story of a young boy who one day meets one of his heroes, a baseball player, and asks for his autograph. “Sure kid”, says the baseball player. “You got a pencil?” Dismayed the young lad realises not only does he not have a pencil neither does his mum or dad or anyone else in his group. Seeing no way of writing his name the baseball player says “Sorry kid. Ain’t got no pencil, can’t give no autograph.” From that day on the boy vows to always carry a pencil with him (his daily ritual). The analogy here with photography is obvious. The old adage “what’s the best camera”, answer, “the one you have with you” is as true today as it’s ever been. Always carry a camera with you but don’t just wait for the picture if a lifetime to appear, try and use it everyday to take at least one ‘serious’ image. Scratching. ‘Scratching’ is what Twyla uses to come up with ideas. Ideas are the raw material of creativity. Without that initial spark of an idea the creative act cannot begin. Scratching involves doing anything that helps find even the tiniest idea that can be developed into a creative act or art form. Scratching is when the architect walks around the medieval town looking at old buildings or when the musician trawls through the back catalogue of one of her musical role models looking for inspiration. A good ‘scratch’ possibly done over several days or even weeks will generate not just one but many ideas. The best creative acts come from taking two or more ideas and combining them in new and novel ways. In that respect scratching for ideas should not be confused with copying someone’s work. Scratching is about looking at what others have done and using those ideas in ways that have not been thought of before. As an example Twyla relates the story of how Paul McCartney and John Lennon came up with the idea for the song Eight Days a Week. McCartney had been in a car and asked the chauffeur how he had been. “Working hard,” said the driver, “working eight days a week.” McCartney had never heard this phrase before and when he mentioned it to Lennon as they sat down to work it sparked the idea for the song. Practical tip for photographers. Photographers can scratch for ideas everywhere. Looking through books and magazines containing images from people you like or admire (or have even not heard of before) is one obvious way. However just walking around a new city or location or visiting a gallery or attending a talk (not necessarily even about photography) are all ways we can ‘scratch’ to find new ideas we can use later to create new images that give a different perspective on an old idea. It goes without saying that always carrying a notebook to record your scratchings is essential. Skill. Whatever your chosen artistic endeavor, you will only ever be able to create new and original art, if you have mastered the basics of your craft and built your creativity on the solid foundation of those skills. This, unfortunately, takes time. You may have heard of the 10,000 hour rule popularised by Martin Gladwell in his book Outliers. The theory here is that it takes about 10,000 hours of practice to become an expert in pretty much any endeavor, from playing the violin to being a basketball champion to being a top-class brain surgeon. This idea is based on several studies and puts some evidence behind the “practice makes perfect” argument for any skill. Whether it really takes 10,000 hours to master being a photographer I don’t know. As I have discussed here there is more to photographic artistry than just putting in the hours. That said, you are never going to get very far if you have little more than a basic understanding of your gear or how to make light work for you. Some would argue that the digital age has de-skilled the craft of photography. When cameras are so ‘intelligent’ and software can be used to rescue even the most severely over or under-exposed images who needs skill any more? Take as many images as you like and if only 1 in 10 or even 1 in 100 are ‘okay’ what does it matter? Actually, of course, it matters a great deal! When even cheap point and shoot cameras are loaded with so many features it takes 6 months to learn how to navigate the menu system, taking time to really learn how your camera works, to take best advantage of those functions you really need, is more important than ever. Sadly though learning the technical aspect of your camera is only the beginning. What really differentiates great photographers from just good ones is understanding how to use light, whether it be daylight or artificial light in all its various forms. Learning how to use light and, more importantly, practicing how to use it is something that takes time which you just need to put in. Practical tip for photographers. Take an inventory of your photography related skills, everything from basic camera handling through to lighting, posing models and working with clients. By cataloging what you know it is easier to determine what you don’t know and need to learn. To fill in your knowledge gaps attend workshops and training courses, hire models and studios to practice or take advantage of the vast number of resources on the web. The book is full of this sort of thing so, if these tips prove useful to you, go and buy it. Unlike most self-help books you come away with the feeling that this one offers real advice based on a lifetime of creative achievement and really does have something new to say.